Temple Institute head Rabbi Yisrael Ariel quotes Haggai the Prophet, says solution to drought is to build Holy Temple. Temple Institute head Rabbi Yisrael Ariel responded to the special prayer session held on Thursday at the Western Wall, when thousands gathered to pray for rain. 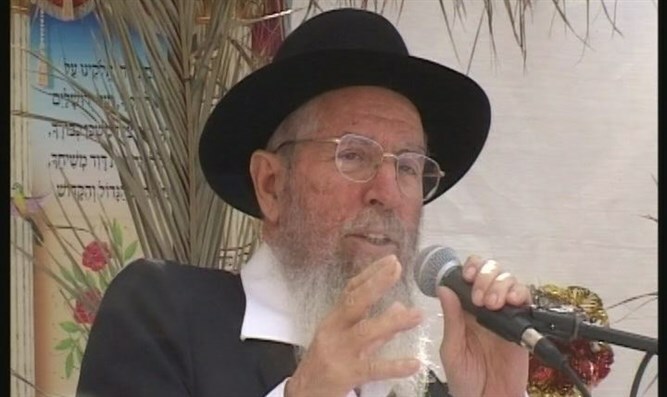 In an interview with Arutz Sheva, Rabbi Ariel said, "At the beginning of the Second Temple Period, before the Second Temple was built and the Jews brought their sacrifices in the courtyard, Haggai the Prophet said that when there is an arid year with no rain, the reason is that the Holy Temple has not yet been built." "So instead of awakening, we're going to visit the Western Wall and pray? Each person lives in their own private home, but the gentiles are crowing in our Holy Temple. How do our ears not hear this?" According to Rabbi Ariel, the solution to a drought is simple: Ascend the Temple Mount and open its gates. "This is why today is a fast day, so that we can repent, stand up, and fix the destruction [of the Temple - ed. ]," he concluded. Israel's Meteorological Service has predicted Israel will face another dry winter - its fifth in a row. During September-November this year, Israel received only 45% of its average rainfall. Israel's rainy season is from November through, March, but Israel has hardly had any rainfall since October, leading farmers to worry for their crops. In addition, meteorologists are predicting that Israel will receive only get 47% of the rain needed for agriculture before the winter ends.